Zhejiang, literally meaning a winding river, is the former name of the Qiantang River in ancient times. The Qiantang River is the longest river in the Province and the spectacular Qiantang River Tide is often used as a metaphor for the fighting spirit of people living there. The province is one of China’s smallest and most densely populated provinces with a total area of 101,800 square kilometers (39,305 square miles) and a population of 54,426,900, for the reasons of excellent geographical location as well as a developed and active economy. The history of the province goes back to ancient times. Neolithic Hemudu Cultural Ruins dating back as early 7000 years ago is regarded as one of the cradles of Chinese civilization. During the Spring and the Autumn Period (770 BC - 476 BC), the area was separately dominated by the Wu Kingdom and Yue Kingdom. From that time on, the Wu and Yue cultures have developed, flourished and influenced this region. The present jurisdiction of this province was formed about the early part of the Ming Dynasty (1368-1644). Situated on China’s eastern coastal area and to the south of the Yangtze Delta, Zhejiang is the province with the most islands in China, with more than 3,000 islands along its coast. What’s more, it borders the modernized international metropolis, Shanghai, to the northeast, which can be easily reached either by bus or train. The region enjoys distinct seasons due to its subtropical geographic location. Every year, there is a rainy period from May to June. Sometimes from August to October typhoons attack this region. The average annual rainfall is 1,600 millimeters. Spring and autumn are the most pleasant months for travelers to visit. In terms of tourism, it has boasted many attraction sites since ancient times. 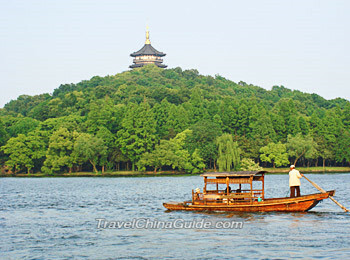 Its capital, Hangzhou, as a key national tourist city, is picturesque all year round. One of China’s most beautiful sites, West Lake, is located right in the heart of the city. There is a saying that illustrates the charm of the city: 'In heaven there is paradise, and on earth there are Hangzhou and Suzhou.' Some other must-see natural beauties include the No.1 Mountain in southeastern China, Mt. Yandang, the most elegant Thousand Islets Lake, and the famous Buddhist mountain, Tiantai Mountain, as well as others. Furthermore, the sacred Chinese calligraphy place, Orchid Pavilion, the oldest private library in Asia, Tianyi Pavilion, the greatest water conservancy project in ancient China, Grand Canal, and ancient water towns like Xitang, Nanxun, Wuzhen and Xinshi, are all attraction sites that delight tourists who visit this region. The province also enjoys a tremendous reputation in the long history of Chinese Buddhism. 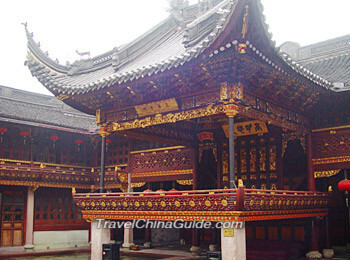 Temple of Soul's Retreat is one of the ten most famous ancient Buddhist temples in China. Mt. Putuo is admired as the 'Buddhist Kingdom on the Sea'. In addition to those beautiful sites, there are many local specialties rewarding visitors both from home and abroad. The most famous ones are tea, silk, embroidery and the local Cuisine. Zhejiang is a relatively developed province. Known as ‘a land of fish and rice’, it is a comprehensive productive region of agricultural products. Rice, tea, silk, oranges, bamboo products and sea products feature largely in China. It is also China’s most important fishing province. Zhoushan Fishing Ground is China’s largest ocean fishery base. The industry of the province is mostly light industry, processing and manufacturing industries and collective industry. One of its administrative cities, Yiwu, is world’s largest small commodity distributing center. The city is generally acknowledged as the largest market by international organizations like the United Nations and the World Bank. ‘A sea of small commodities, a paradise for shoppers’ has been motto of Yiwu. The most famous products here are clothes, ornaments, zippers, knit goods, woolen textiles among many others. Passport holders of 53 countries and regions can enjoy a visa-free stay of 144 hours if they make an international transfer in Hangzhou Xiaoshan Airport. During the layover, they can visit Zhejiang, Jiangsu and Shanghai. Read details about 144-Hour Visa-Free Transit in Shanghai, Jiangsu, and Zhejiang. (National 5A Scenic Spot City).now how is the climate condition there? It is cloudy today and the temperature ranges from 12 to 16 ℃. You may feel cool and a little cold, and take a overcoat with you. Ok, the first is Shengzhou, then Tonglu, Yongkang, Wenzhou, Taizhou and Ningbo. The first two stop, you can only take a bus or coach, but in the next cities, you can take a train. However, I doubt if you can cover so many cities in 5 days since you need to spend a lot of time on the way. I will be attending a wedding in Lanxi, Zhejiang in Nov.. But i can't find any info on accommodation or travel towards Lanxi, can help me? b) accommodation available at Lanxi..
c) weather conditions in Lanxi during Nov..
1. First, take the shuttle bus Pinghai Road Line to the City Railway Station and then walk about 200m to take Metro Line 1 to Maojiang Road. Walk about 300m you can get the South Bus Station. You need to take a coach from there to Lanxi. The departure time is 7:10 to 18:40 with an interval of 40 minutes. 2. There is a Century Hotel located at No. 98, Lan Yin Road, Lanxi City. 3. The weather may be 10C to 20C. You need to prepare some warm clothes like sweaters and jackets. Since it may rain a lot, an umbrella is necessary. How to go from Hangzhou to Lishui and Hengdian by bus, train or taxi? thank you. 1. To Lishui: Take a coach from Hangzhou South Bus Station and arrive at Lishui directly. The schedules are 10:40 and 15:45. The ticket fare is CNY 100/120 per person. 2. To Hengdian: Also take the direct coach from the South Bus Station. They depart from 06:50 to 18:30 with the frequency of around 40 mins. The ticket fare is CNY 68 per person. Is it possible to take a boat, ferry or other water transport from changzhou to suzhou during the daytime instead of a train? 1. There is no direct ferry service to Hangzhou from Yangzhou. You may take a bus to Suzhou from West Bus Station. The buses are available from 6:50 to 18:51, and the fare is CNY 78. The trip takes about 4 hours. Upon arrival, take a ferry to Hangzhou from Wulinmen Wharf at No. 138, North Huancheng Road. The ferry departs at 17:30, and the trip takes about 14 hours. 2. I am afraid that water transport is not available. You may take a train to Suzhou from Changzhou (about 30 minutes).